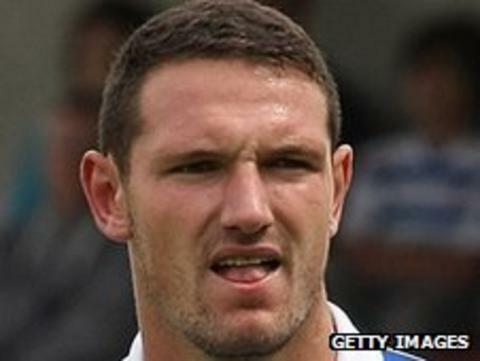 Huddersfield Town have signed Reading central defender Sean Morrison on loan for a second time, this time until the end of the season. The 21-year-old spent a month on loan with the Terriers last season but did not make an appearance. Manager Lee Clark told the club website: "We saw enough of him to know what a good player he is. "The pressure he put on the other centre-backs ensured they performed to a really high standard." Clark continued: "Sean arrives at the club under a different set of circumstances now and the thing that made the move fall in our favour was that he was desperate to come back. "He is very excited about the move - he is hungry to play first-team football. "He brings real competition for places and goes straight into the reckoning for the game at Tranmere on Saturday." Morrison initially joined Huddersfield on loan in March 2011 but was kept out of the starting XI by the form of captain Peter Clarke and Jamie McCombe.